Cruzeiro has sign Ronaldinho's 14-year-old son Joao Mendes, the contract will keep him at the club until he turns 19. The deal was sign between the club and player on Friday after Mendes had impressed in the club's youth system. Mendes has been playing for the club since last year and now looks set for a long stay with the club's director of grassroots football, Amarildo Ribeiro, revealing his best attributes. 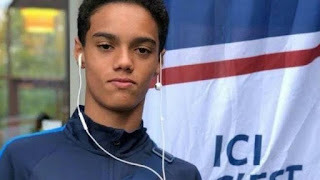 He was quote as saying, "Today, we signed the contract of Joao Mendes, who is a promising player with interesting characteristics and who, I believe, will soon be integrating with our professional team," Ribeiro told Cruzeiro's website. When interviewed Mendez said "It was the team that opened the door for me. I have a great affection for the club. There training is very good, the structure is very good. And it's the biggest club in Brazil and it's a pleasure to play here.